Styled with kacy pant and baldwin top . What summer wants, summer gets. This is a relaxed utility jacket with a cropped body, voluminous sleeves and custom metal buttons. 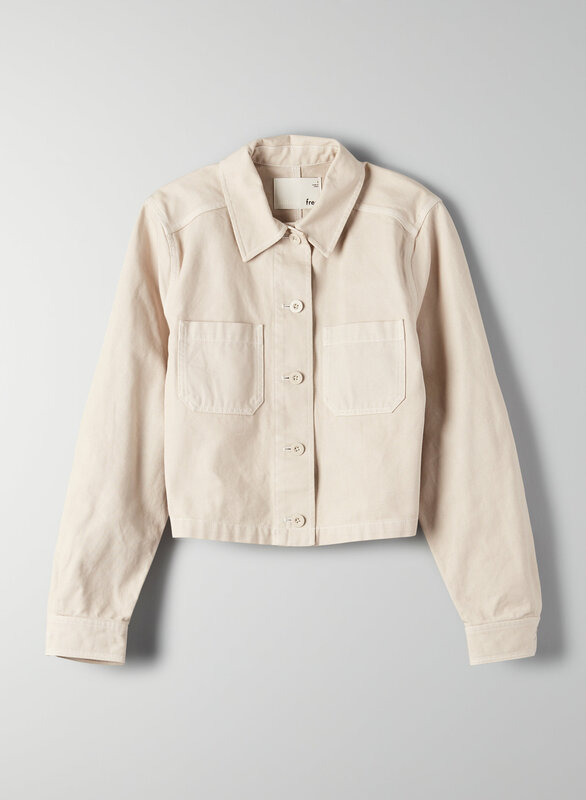 It's made with a washed down cotton twill that feels like canvas.